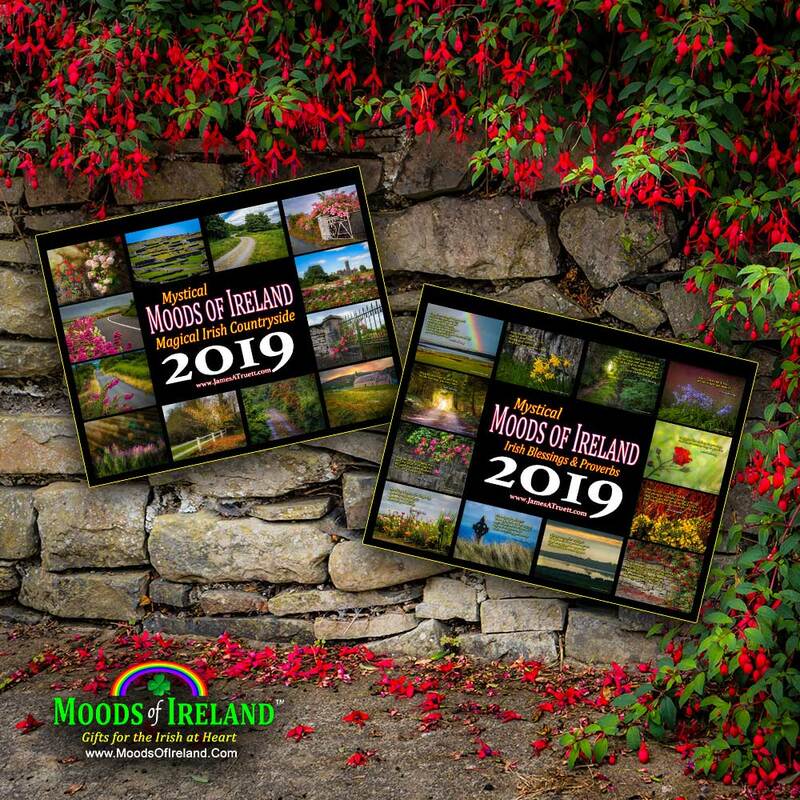 2019 Moods of Ireland Collectors’ Calendars Available! The 2019 editions of my popular Mystical Moods of Ireland Collectors’ Calendars are out now! Enjoy the Magical Irish Countryside or Irish Blessings & Proverbs all year long with my Premium Quality Collector’s Wall Calendars. These are not cheap throwaway calendars! With high-quality printing on sturdy 100-lb. stock, you’ll treasure these calendars for years to come, and all images are suitable for framing. Filled with beautiful photographs of the Irish countryside, these calendars are the perfect accompaniment to my Mystical Moods of Ireland books.